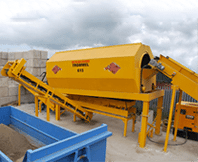 We have been involved in the recycling and manufacturing industry since 1990, and we specialise in the manufacture and installation of recycling systems to the waste industry throughout the UK and Europe. 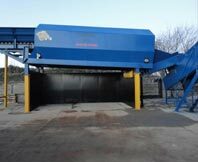 We develop and produce waste recycling machinery to suit whatever your requirements are, from single pieces of equipment to large-scale installations. 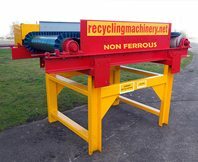 We also have a selection of used recycling machinery So whatever your budget or project may be, we can work with you. We work all over UK developing and working with new and existing clients, making sure that projects go from the planning stage to installation with the minimum of disruption to your existing business. 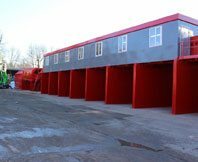 Our sales staff can look at your budgets, and advise on which recycling system or piece of machinery will best suit your needs. Once our sales staff have signed off on the paper work, we can have your installation complete in less than four weeks. If your order is for a single piece of equipment, we would expect to be on your site for no more than a day. Should you decide to look at our complete finance package, we can have one of our sales team drop into you, look at what you need, and within the hour, we can have your finance package approved and in place. 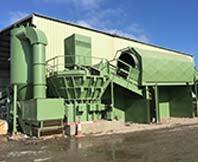 Kenny & Co Waste Engineering is a leader in both new and used Waste recycling equipment, our team of engineers go through hundreds of pieces of used equipment every year, repairing worn belts, bearings, gearboxes and motors, resulting in high quality used equipment ready for work. 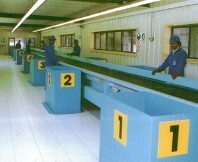 We have lists of used equipment which our sales staff can discuss with you. 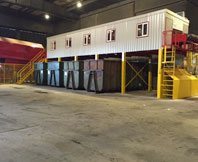 We have equipment ranging from, wood waste recycling machines, demolition equipment, Cranes, Fork lifts, Magnets, Front end loaders, Generators, tyre recycling grinders, Tub grinders etc. And if we don’t have the piece of equipment your looking for, we can look through our database to find what your looking for.